Dr Wong Siong Sung is currently Senior Consultant Cardiologist at Singapore Heart, Stroke and Cancer Centre. His areas of interest in cardiology include cardiovascular computed tomography, nuclear cardiology, cardiovascular magnetic resonance imaging, echocardiography and coronary angiography. He was awarded the Membership of the Royal Colleges of Physicians of United Kingdom, MRCP (UK) and Membership of the Royal College of Physicians and Surgeons of Glasgow, MRCPS (Glasgow). He completed Advanced Specialist Training in Cardiology at National Heart Centre Singapore (NHCS). Subsequently he was appointed as Consultant Cardiologist at National University Hospital (NUH) Singapore. He was also awarded the Academic Medicine Development Award (AMDA) and completed advanced fellowship training in the field of Nuclear Cardiology, Cardiovascular CT and Cardiovascular MRI in United Kingdom (UK). His advanced fellowship training in Cardiovascular CT and Cardiovascular MRI took place at Royal Brompton Hospital, London, UK. He did his advanced fellowship training in Nuclear Cardiology at Royal Brompton Hospital, Harefield Hospital and University College Hospital, London, UK. He obtained more than level 2 certification in Cardiovascular MRI. He is also board certified in Nuclear Cardiology – CBNC (USA) and Cardiovascular CT- CBCCT (USA). While he was in NUH, he strengthened and took the level of CT coronary angiogram and radionuclide myocardial perfusion imaging services to a higher level. He is one of the pioneer in the establishment of the novel technique of the quantification of myocardial blood flow and coronary flow reserve with an innovative Tc-99m sestamibi dynamic single-photon emission computed tomography (SPECT) technique in Singapore. He undertook successful clinical quality improvement projects which provided timely CT coronary angiogram and radionuclide myocardial perfusion imaging services for patients with acute chest pain syndrome in Emergency Department at National University Hospital. He interpreted and reported numerous Nuclear Cardiology scans, Cardiovascular CT and Cardiovascular MRI scans, echocardiograms and treadmill exercise tests. He supervised, gave regular lectures and teachings to Fellows from overseas, Senior Residents, Residents, Radiographers and Staff Nurses. He gives talks to General Practitioners and the public in Singapore. 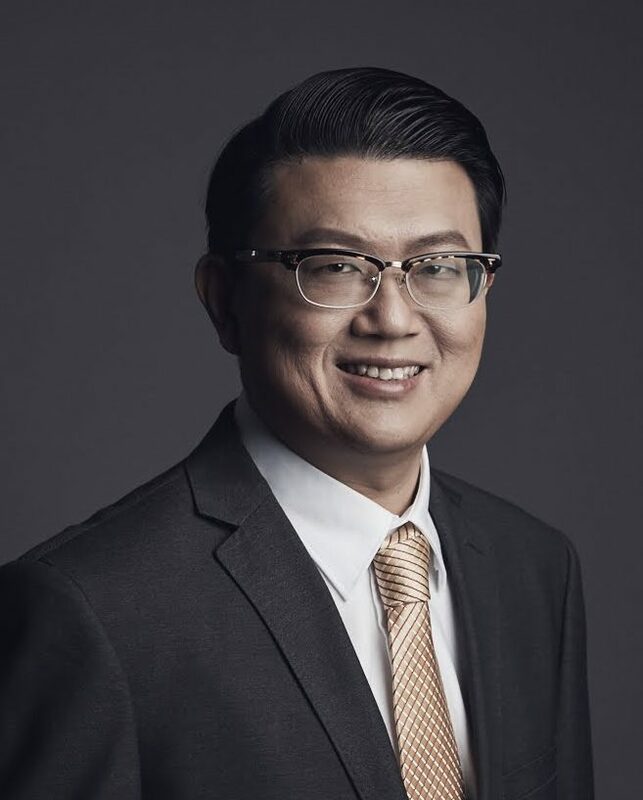 In addition, he provided teaching to medical students regularly and was appointed as Assistant Professor at the Yong Loo Lin School of Medicine at National University of Singapore (NUS). He was also an appointed Examiner for the MBBS Examination for the medical students at National University of Singapore. Dr Wong is also Advanced Cardiac Life Support (ACLS) Instructor as accredited by the National Resuscitation Council, Singapore where he gives regular lectures and practical sessions to doctors, nurses and paramedics. In view of his professional experience, contribution and dedication in the field of Cardiology, he was elected as Fellow of the American Heart Association- FAHA, Fellow of the Royal College of Physicians of Edinburgh-FRCP (Edinburgh), Fellow of the American Society of Nuclear Cardiology- FASNC and Fellow of the Academy of Medicine of Singapore-FAMS (Cardiology). Dr Wong is proficient in communicating in Bahasa Indonesia, Mandarin, English and Malay. Not all chest pains are related to coronary heart disease. Wong SS. The Business Times. 30 June 2018. Minimising the risks of heart attack. Wong SS. The Business Times. 31 March 2018. Understanding stress CMR. Wong SS. The Business Times. 16 December 2017. A rare cause of dilated right heart chambers due to PAPVC. Jong SC, Wong SS. Abstract presented in Asian Society of Cardiovascular Imaging Congress (ASCI) 2016. Streamline the workflow for emergency cardiac chest pain patients to provide timelier assessments. Wong SS, Chai CY, Leong S. Abstract presented in Singapore Healthcare Management 2014. Screening for Coronary Artery Disease using CT Coronary Angiography, Coronary Artery Calcium Scoring and Myocardial Perfusion Imaging: A Review of Current Evidence of Potential Benefits and Risks. Wong SS, Felix YJ Keng. Proceedings of Singapore Healthcare, Volume 20, Number 4, Dec 2011.